Service is great and staff goes beyond my expectation. Great guys. Responsive to our needs right away! Bugs gone! Vernon is great. Always on time and does a thorough job. We experience fast and friendly service from the Rep to technician. Thank you. We are very thankful Home Paramount got rid of all the spiders around our house. Was extremely happy with service received, and have had no signs of any bat activity.....but, am still waiting for someone to remove the "bottle". I am very happy with the service I received from Home Paramount. I took a chance with this company as I picked them from the phone book and not a recommendation from someone who used them in the past. They showed up on time, were friendly and knowledgeable and answered any questions I had. I had no idea the job was as big as it was as the mice had done much damage in my crawl space an attic. Hopefully the mouse hotel is a thing in the past. I definitely would recommend them to anyone who needs an exterminator. So far so good considering I’m a new customer. Let’s review this in 6 months. They are very effient and do a good job.Hope to have them around for a long time. We were very happy with the service we received from our tech. He explained things to us as he went throughout our home. I would call them again and recommend them to us. We have been extremely pleased with the service! We did find some pest issues few months ago but they all got addressed to our satisfaction. I must point out that the customer experience demonstrated by Scott Michaud (Branch Manager) was outstanding. He was in our house on weekly basis until he was satisfied. Thanks Home Paramount! I have already recommended few of our neighbors. -Harpreet Singh, Chapel Hill, NC. I could not be happier. I truly feel that I am important as a customer to the company. I appreciate that with every service I have the same technician, Derrick, who is the absolute BEST!!! Thank You. A few years back we had a problem w/mice . . . our Home Paramount guy, Derrick, was awesome in developing a comprehensive solution and has continued to be!! He always keeps an eye out for returning mice, but due to Home Paramount's vigilance, we haven't had additional issues!! On time services and great ! Excellent customer service. Very satisfied wir. 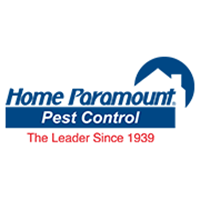 I have had Home Paramount for a couple years now and they have been great! Always lets me know when they’re coming & after they leave. Our current technician is excellent. if he stays with us we will continue with Home Paramount. From taking the initiative for scheduling via a phone call for our quarterly service to the friendly and courteous technican always arriving within the agreed timeframe and effective pest treatment justifies our Excellent rating. Arrived on time! Tony was very professional and pleasant. techs always ask if we have any problems and provide answers to our questions. Such kind men who do the home care. I have always had great service from Home Paramount! We have always been pleased with our service technicians. Derrick is always courteous and professional as well as friendly. Great service, easy pay online, easy scheduling! Had good experience with technician. David is great and always does a thorough job and pays attention to issues we may be having at the time. He always has an eye out for potential problems - indicating any problem spots he sees and provides corrective options. We really like Home Paramount. Keep up the good work! Great service. Appreciate afternoon scheduling. Vernon our service tech. is always on time,neat and addresses all of our concerns! Excellent Service!!!!! Totally dependable, quick response to any problem, courteous serviceperson. I was hoping to hear from Don Silver soon as we need to discuss when to do attic, and settle on cost. Could Don please give a call at his convenience. I'm hoping early fall (after the ghastly heat). Also wanted a contact for whole house fan to be installed at the same time.